Thank you for bringing our newest Brother Aleph/Sister B’nai B’rith Girl into the BBYO family! After they've signed up for membership, make sure you complete the form below to let us know you referred them. 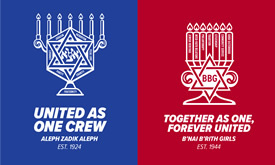 We'll make sure you both get a limited-edition BBYO flag!